Godfrey Pontoon Boats represents everything that great days on the water is about. When you own a Godfrey, you're a trusted leader and a daring pioneer. You're not just on a boat; you're part of a proud and enduring legacy of craft, quality, excellence, and discovery. 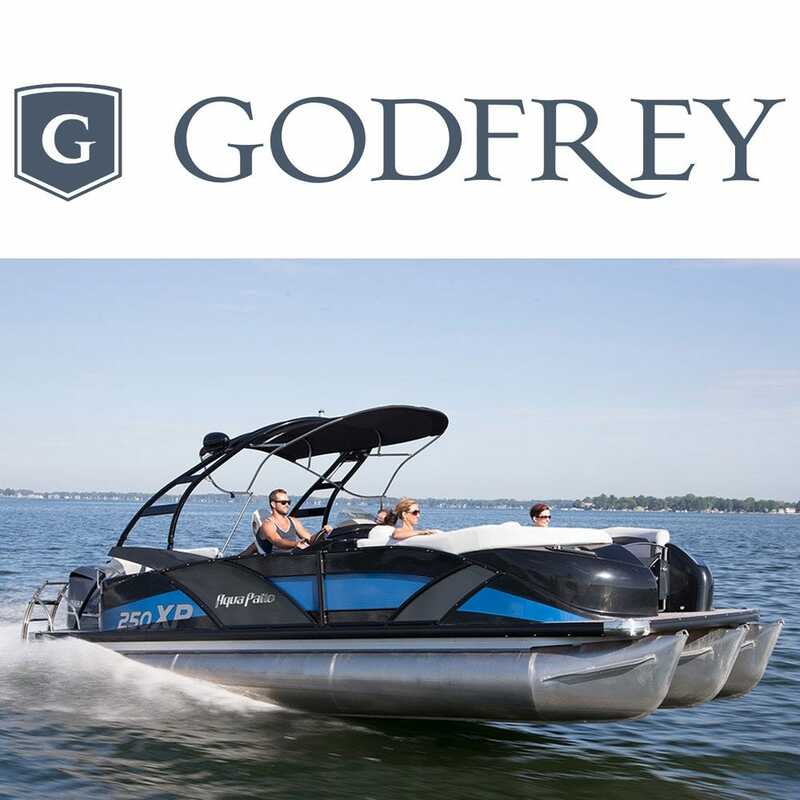 Godfrey marine is the industry leader in performance, quality and innovation. They offer a huge range of layouts, furniture, entertainment and high-performance options; more than any other pontoon boat builder. They've spend nearly 60 years perfecting boat safety, style and handling giving your family great days on the water. Great Lakes Skipper is proud to offer a comprehensive line of original parts for your Godfrey pontoon boat!